“What I do is what I am,” artist Mike Hanlon explains. 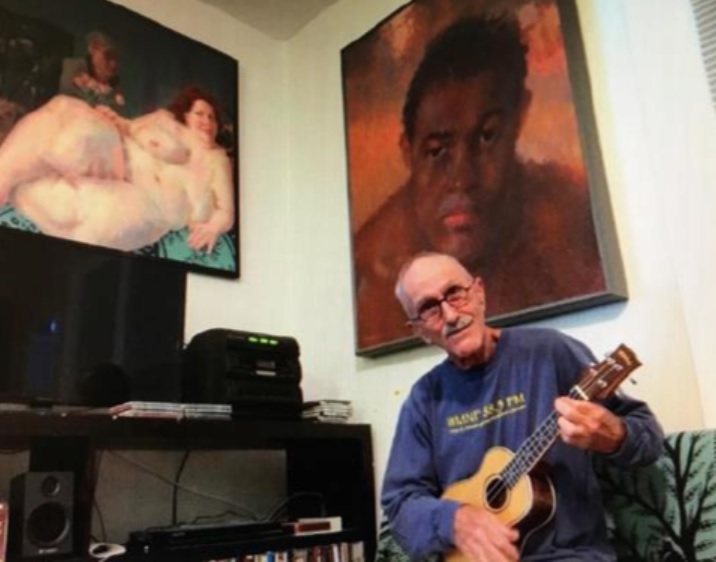 The 75-year-old artist has done a lot, and as a result, he has been a lot. His whole life has been a series of job where it became the central element of his life. According to his brother John, whatever he does, he obsesses on until he gets it perfect. For example in 1962, Mike’s interests led him to box. His dedication resulted in an amateur featherweight championship. He becomes what he does. Mikes dedication reaches to all jobs, and interests he takes on. After he learned to ride a unicycle, he took it one step further and taught himself to juggle. Before long he was juggling balls while riding the streets of Tampa on one wheel. After teaching his two brothers to juggle, the trio became known as the Hanlon Brothers and worked as street entertainers at festivals and grand openings. Juggling, rope walking, and clowning became his life. It was in the early ’80 when I first met Mike. I was a friend of one of his brothers. I found Mike to be a quiet and thoughtful person. I took him to be a wise man of few words. 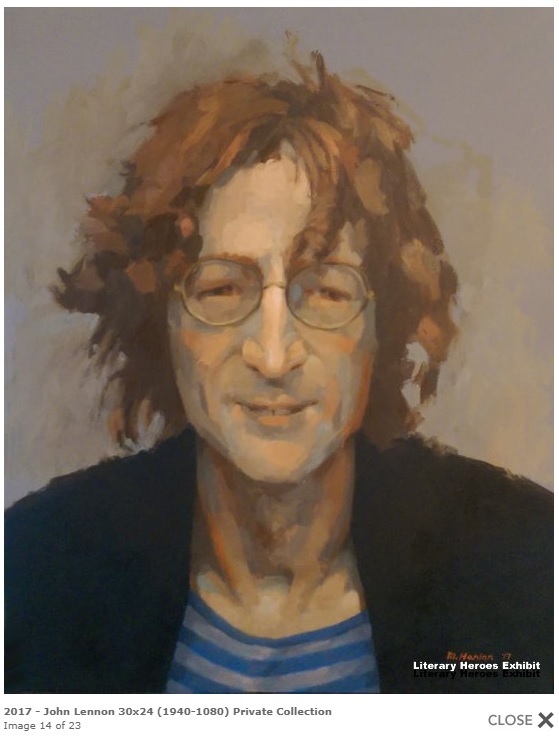 I knew he was painting and had seen a few pieces hanging in his small apartment, but didn’t know the extent of his talent. Mike Hanlon could always draw pretty well, but it was not until the early ‘70’s that he put his talent to the task. 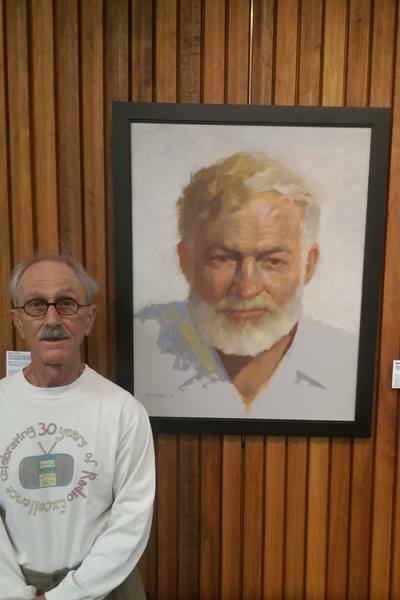 Christopher Clark, a retired painter in Tampa, took him under his wing. Clark taught Mike to be more observant. Mike claims his life started during those lessons. When he started painting, he became a painter. Obsession… Hanlon took Clark’s lessons in observation and painted 178 views of Tampa Bay from the same location over 178 days, rain or shine. Every day he saw and painted something different. The challenge opened his eyes and fine-tuned his skills. It helped him learn to look at things as an artist needs to see them. Recently, Mike’s career has taken a giant leap forward. 2016 was a big year with a best of show title awarded at the Art and Frame competition. And, he received the 1st place judging in the Faces and Figures show by Tampa Regional Artists. Plus, his work was proudly hung in his local Fifth Third Bank. 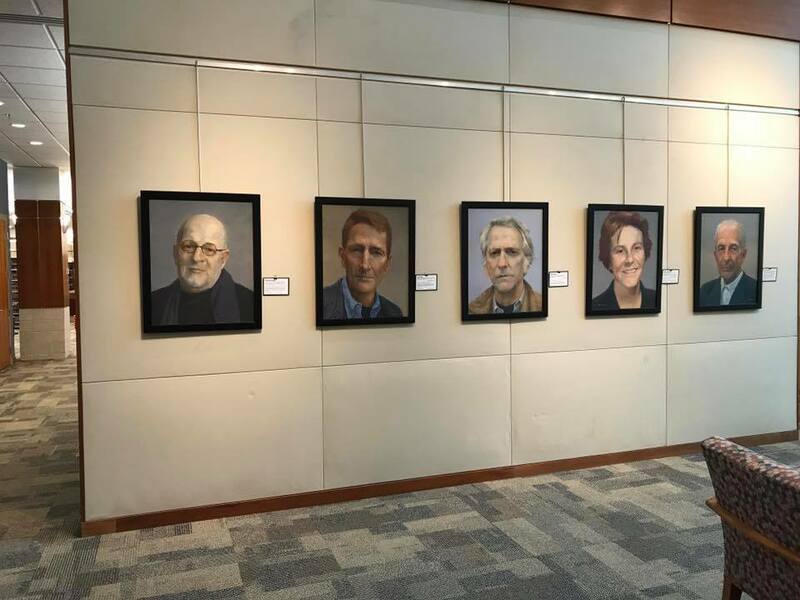 Mike Hanlon’s current obsession is a one-man show of Larger than Life Literary Heroes, which kicked off last year with a series of exhibits at public libraries. 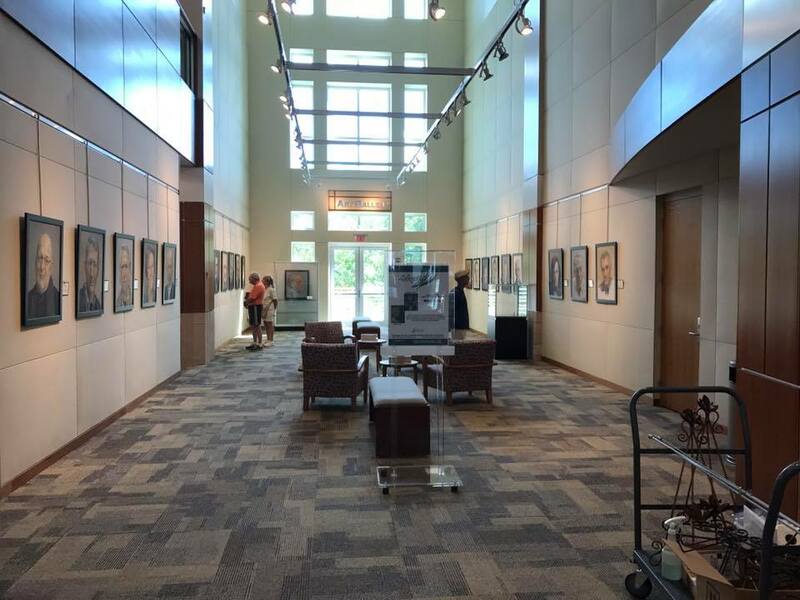 His work hung in several Hillsborough County locations. Famous authors gracing the halls of libraries, is a perfect for his work. His Literary Heroes, Larger than Life exhibit will return to the Downtown Tampa location this Nov. and Dec. You need to be sure to see it! His work is also available to see at Inkwood Books, in Tampa, where they feature one new author every month. The Reserve, a coffee shop in Sarasota, FL, also displays his work. In addition, this December, the Sarasota coffee shop, Khawa, will have work on display. You can view Mike Hanlon’s website at http://mikehanlon.info. This website offers a complete reference of his work, including the Literary Hero collection. Be sure to check out his site and the facebook link, https://www.facebook.com/LiteraryHeroes for his latest shows and events. Two Story Publishing is proud to feature Mike Hanlon and welcomes him to our family of authors and artist. If you have a talent and art that you would like to promote, please contact us at http://twostory.pub. We would love to see what you do!